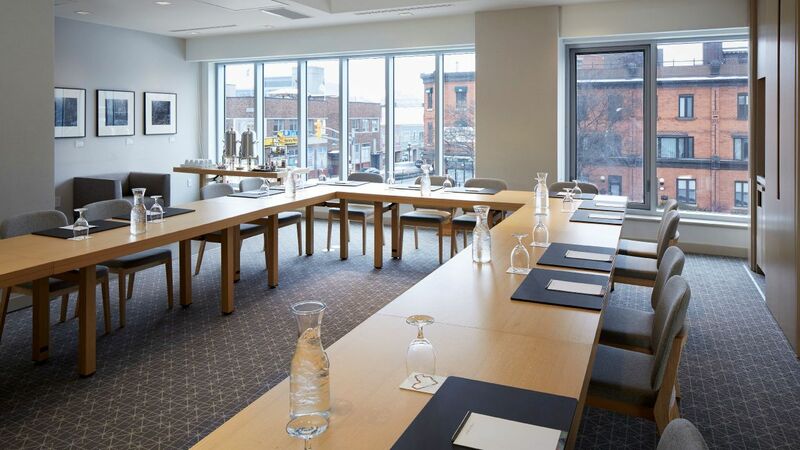 With 4,500 sq ft of corporate meeting and event space, the possibilities are endless to make your dream function a reality at Andaz Ottawa ByWard Market. 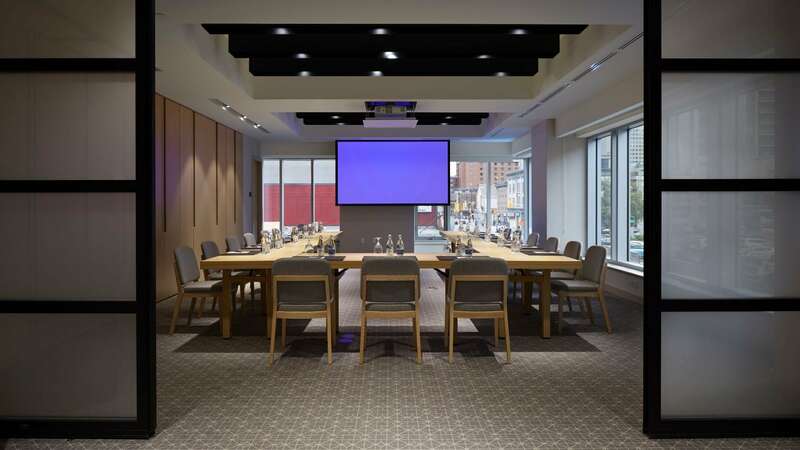 Divided up into six innovative Andaz Studio spaces flooded with natural light, meetings, events, and special celebrations can be flexible and seamless, with creative catering, unique settings, and included benefits like built in AV including projector and screens. Andaz Ottawa ByWard Market is proud to partner with Bullfrog Power, Canada’s leading green energy provider. Relax and get comfortable here, but enjoy the classy and contemporary décor, too, from the wood-paneled flooring to large windows. Our thoughtful event and culinary team will help you plan the perfect wedding day that matches your personal style. 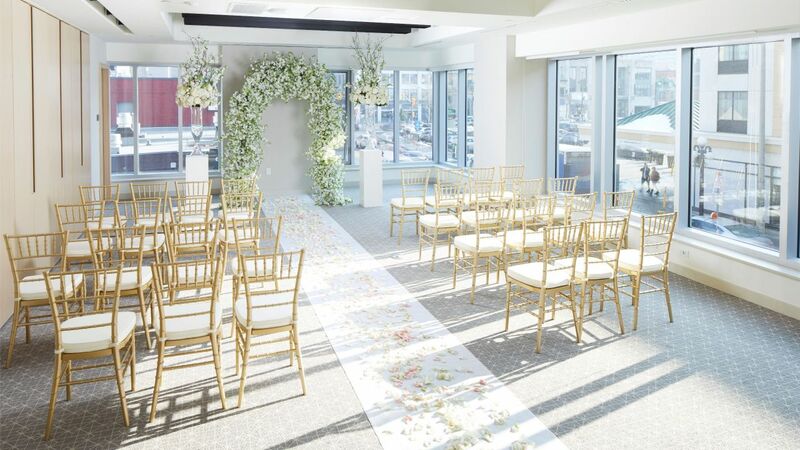 Voted one of Canada’s loveliest wedding venues, our modern and contemporary indoor and outdoor spaces for up to 150 guests in the heart of the ByWard Market, can also accommodate the celebratory events surrounding your wedding such as engagement parties, rehearsal dinners, and post-wedding brunches. We can also facilitate wedding photoshoots, private bridal suit and groom’s lounge, as well as preferred room rates for guest accommodations. Collaborate, create, and inspire in our 4,500 sq ft. of meeting space. Our Andaz Studio spaces are configured so that you can move from one space to the next with ease, while enjoying classy and contemporary décor, complimentary Wi-Fi, and full A/V technology. Andaz Ottawa is ideally positioned to host a variety of meetings, working sessions, launch parties, media events, and pop-ups, day or night.